It’s hard to believe it’s been almost a month since our trip to Colorado. My, how time flies. This is part 2 of our trip (you can see part 1 here). When I last left you, we had gone for a hike, visited a friend in Denver, and were on our way south to Buena Vista (pronounced by locals as Be-YOU-na-vista, to our bewilderment). We got as far as Kenosha pass and pulled over to camp in the car for the night. We stopped for a water, de-watering, and lunch break at the Collegiate Peak overlook. Not a bad view huh? 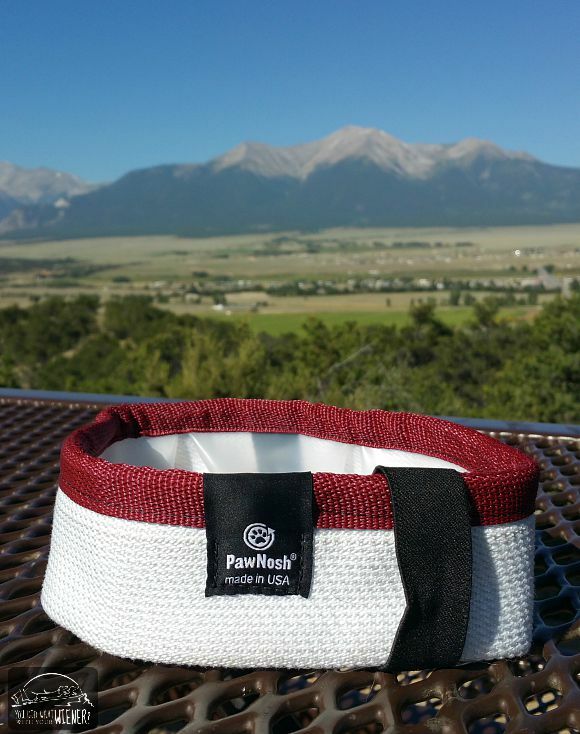 That bowl is Chester and Gretel’s new classy travel dish from PawNosh – the Fire Hose Bowl – made in the USA from reclaimed fire hose. 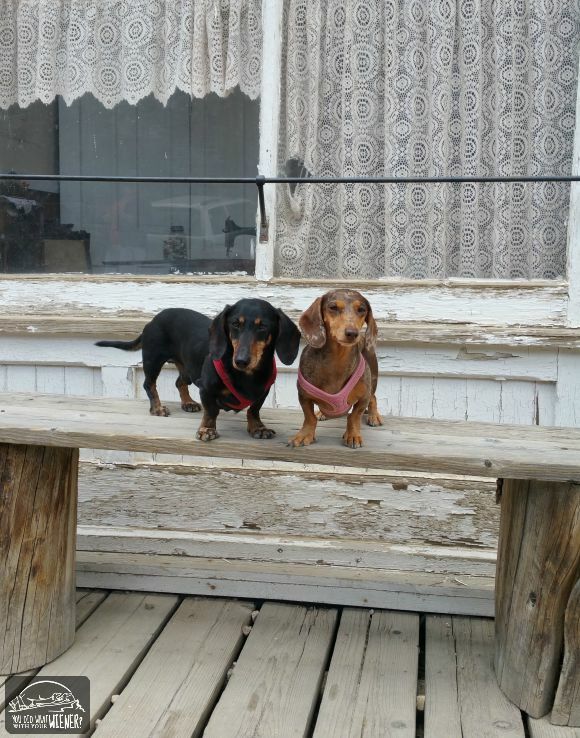 Colorado is famous for ghost towns so we wanted to see at least one while we were there. One of the best preserved, and easiest to get to (no 4X4 needed), is the St. Elmo ghost town. There were a few pretty amazing views on the drive up there. St. Elmo was founded in 1880 and nearly 2,000 people lived there during the gold and silver mining boom. By 1922, mining activity had declined in the area and railroad service was discontinued. The town pretty much dried up after that. 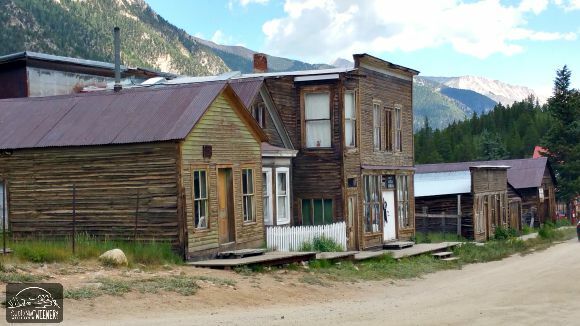 Even though St. Elmo is considered a ghost town, a few people still live there. The general store is operational and open during the summer. I think I heard the guy behind the counter say that his family was one of the original settlers of the town and he had been running the store for over 25 years. St. Elmo is a very popular gathering place for 4-wheeler enthusiasts as there are several roads and trails in the area. The store is a good place to stop for snacks and some water to wash down all of that dust they’ve been inhaling. I heard you can rent, what look like little 4-wheeler golf carts (side by sides I think my hubby said they are called? ), there too. 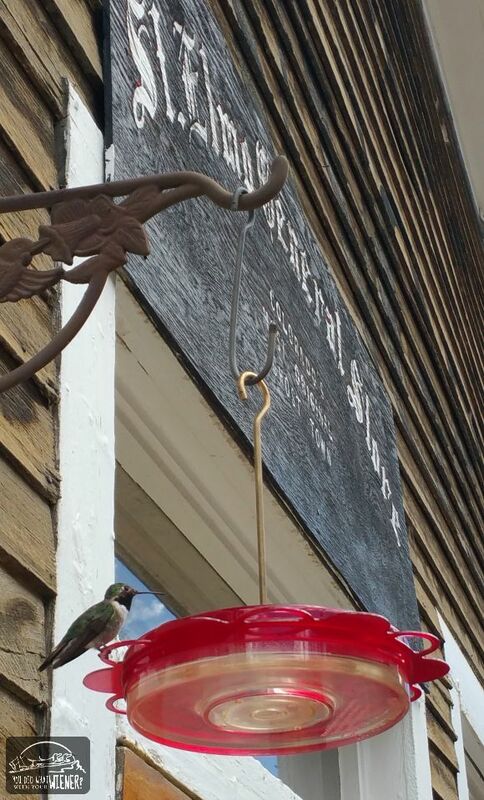 One of the coolest things about the town is all of the hummingbirds. The general store puts out a lot of feeders so they are everywhere. I almost felt a little uneasy with all of the swarming and buzzing. Ha, ha. Anyway, I was able to snap a picture of this little guy when we stopped for some eats. One of the best things about traveling to a new place is the people you meet and conversations you have with random strangers. We were getting ready to leave but ended up chatting with this really friendly guy instead. He said he has visited St. Elmo several times and was telling us a bit about the area. 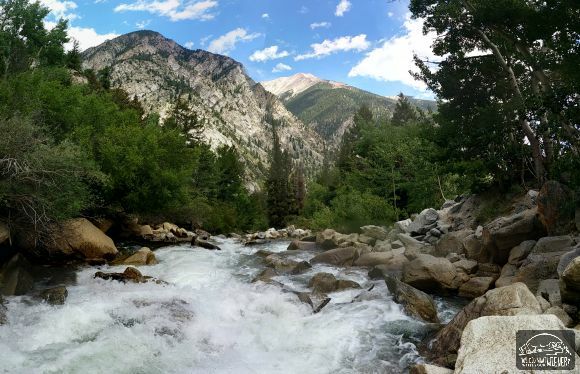 He said there was a cool trail up one of the side roads – Hancock Pass Road – called the Alpine Tunnel Trail. We love spontaneous side trips so we decided to check it out. We didn’t have time to hike all of the way to the historic Alpine Tunnel but the views were great. We hadn’t pre-planned where we would stay that night but I found an awesome dog friendly place to stay the day before while passing the drive time surfing the internets – the Mountain Goat Lodge. The woman who runs the place was nice. It turns out that she lived in Western Washington where we live but left for less rain, more sunshine, and to start her own little ranch. 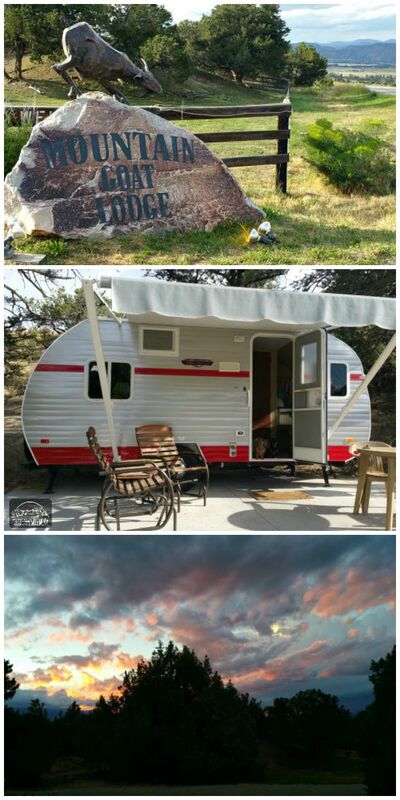 The property consists of a big lodge where you can rent a room, a little group of the cutest retro campers, a hot tub, and a barn and greenhouse that guests are welcome to poke around in. The owner makes her own cheese and you can schedule a 2-hour class during your stay where she teaches you how. Even cooler than all of that stuff was the fenced, off-leash area for dogs to play in! If you rent a room in the lodge, it comes with breakfast in the morning… which I hear is to die for. We opted to stay in a tiny retro camper though because we love to pretend we live in a tiny home (you can see what it looks like on the inside here). Each camper has it’s own little patio where you can watch the sun set. Anyway, this post doesn’t even take you through the half-way point of our trip. I still have so many pictures to share. Stay tuned for parts 3 and 4! Also Check Out Part I – Seattle to Denver, Part III – Aspen & Leadville and Part IV – Mt. Elbert. I can see why you get blogging awards! 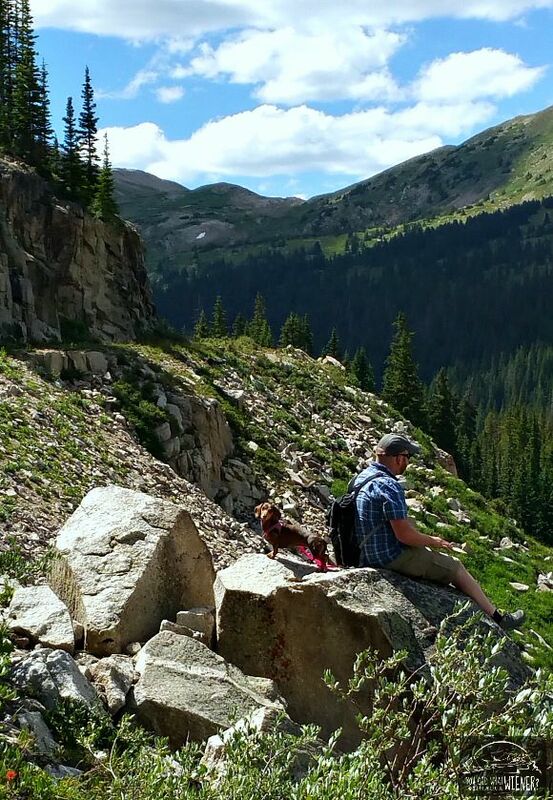 Love to travel, but too old to hike like you and your dogs. Love to see the back country in your travels. 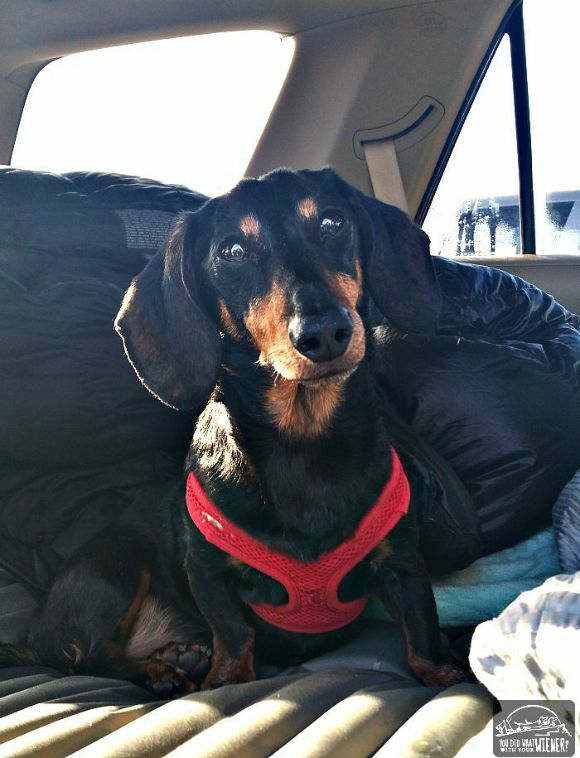 As a kid growing up we had doxies. Can’t take care of one now because of all our traveling. But I enjoy your dogs! God Bless! We just travel to places they can go with us 🙂 I’ve dealt with some pretty major back issues off and on so I feel lucky that I am still able to hike. 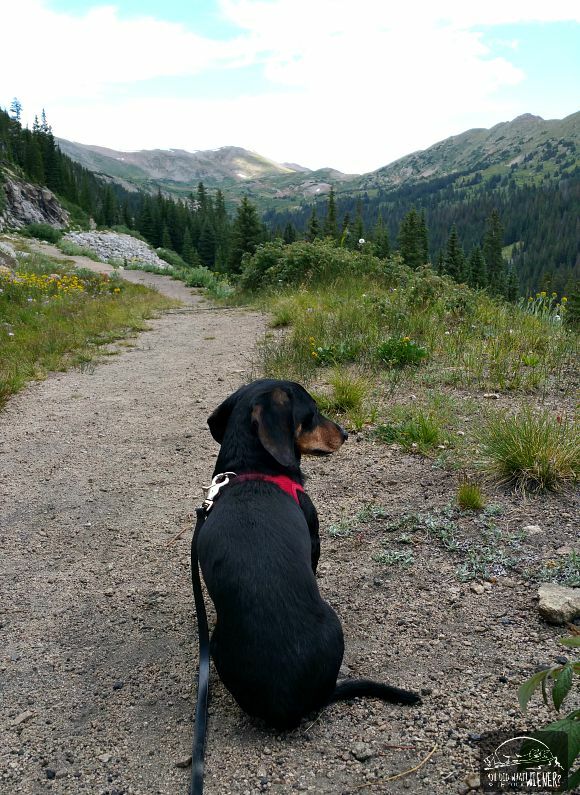 I wish I could hike every day but life…. Thanks. It is fairly easy to get great pictures when the areas you visit are so beautiful. I am trying to get better at photos and photo editing though. I am sure that altitude did make Chester even slower to normal. I know for sure it affected Gretel. It didn’t seem to bother her on the trail but she was more tired than normal afterward and it took her longer to recover. Once we adjusted a few days they were back to normal though. Sounds like lots of fun and such pretty places. This is a good reminder for us to look for a ghost town on our trip to AZ next year. I’ve only been to a couple of ghost towns ever but they’re fun. I didn’t realize there were some in Arizona too. 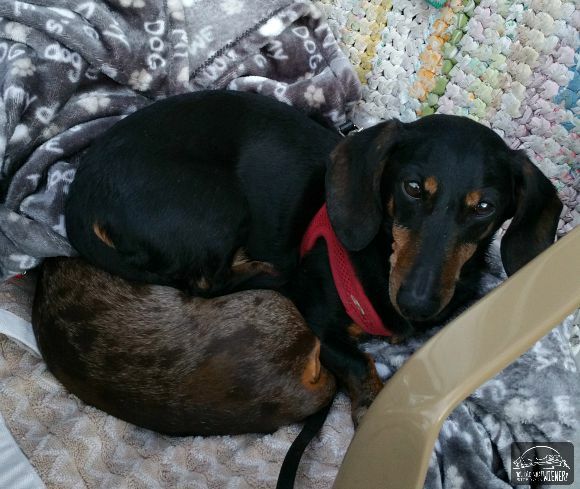 I love that you prove that little dachsies can do all the things that big dogs can do and then some! Wait until you see Part IV! 🙂 They can easily keep up with the big boys (and girls). What a gorgeous trip! I can’t decide which part is my favorite. So did you learn how to make cheese? Wow, what truly beautiful scenery! I love that your dogs are such adventurers and love to go hiking! What a great post and beautiful pictures. I’ve lived in Co for 30 years and have never visited St. Elmo! One of these days I should visit my own state! It sure sounds like you have a great time! WOW! Now I want to go on a road trip wif you!! How fabulous and fun – thanks for sharing your trip wif us! How inspiring. Maybe once I try some new things for my knees, we will have more opportunities to hike. Not sure Kilo the Pug is ideally suited, but we can enjoy vicariously for now. What beautiful photos and views. There is something about mountains that lifts my mood like water. That looks like an amazing trip! Great views and beautiful photos. Thanks for sharing. What a great trip! I would love to explore more of Colorado, especially since we live practically right next door in Arizona. These photos are great, I’m saving this to my Pet Travel board on Pinterest. Thanks for sharing your adventures! Good idea. I should pin them to my Dog Friendly Travel board too 🙂 If you haven’t seen my board, you can check it out here https://www.pinterest.com/Adventurewiener/dog-friendly-travel/. I’ll go look for yours. Such a beautiful place. I would love to take a trip this this with my 4. They love adventures! 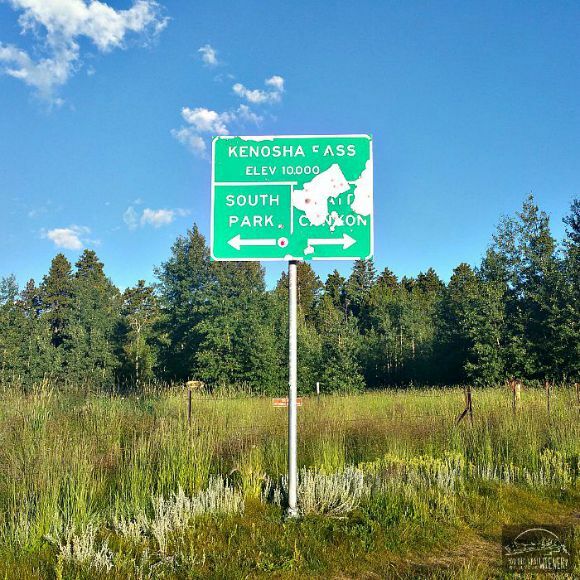 For now, we stick with the local hiking trails and national parks. Can’t wait to see the rest of the photos! Better late than never, glad I took the time to catch up and read more of your trip. Loved the pictures, sounded like a great time. Funny, but in Vancouver, we (well, Barb) basically just asked people what to do in town, then we took their advice and had a great time! As outgoing as I am, I often feel to shy to ask total strangers what we should do when we are traveling to a new area. That’s usually how you discover some of the best hidden gems though. Glad you guys had a great time in Vancouver. Thanks again for stopping to see me in Seattle. That was a wonderful day.